Easter is coming! 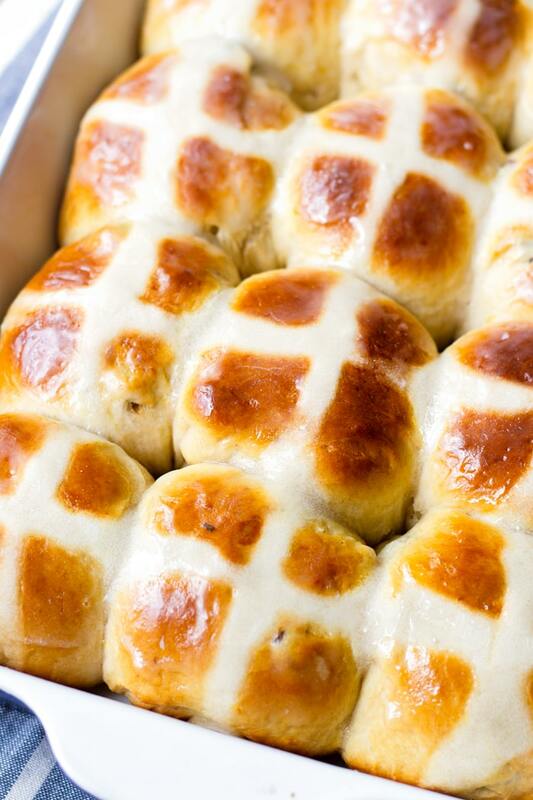 Try this easy traditional hot cross buns recipe. These spiced sweet buns are so soft, delicious, and fluffy. I love the flavors from the spices and the raisins. Hot Cross Buns are traditionally eaten on Good Friday. They represent the end of Lent. 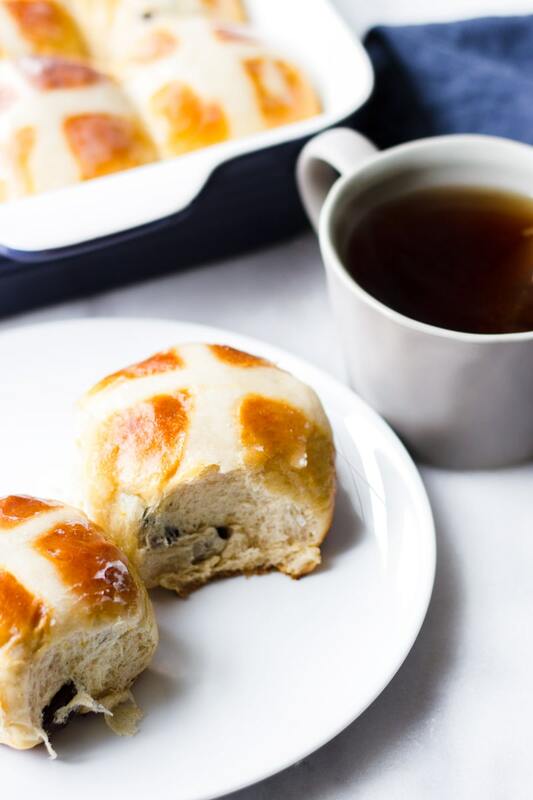 This easy traditional hot cross buns recipe is made mainly with bread flour, spices (cinnamon, nutmeg, and allspice), and raisins. I like to use bread flour instead of all-purpose flour because it gives the bread a softer texture. 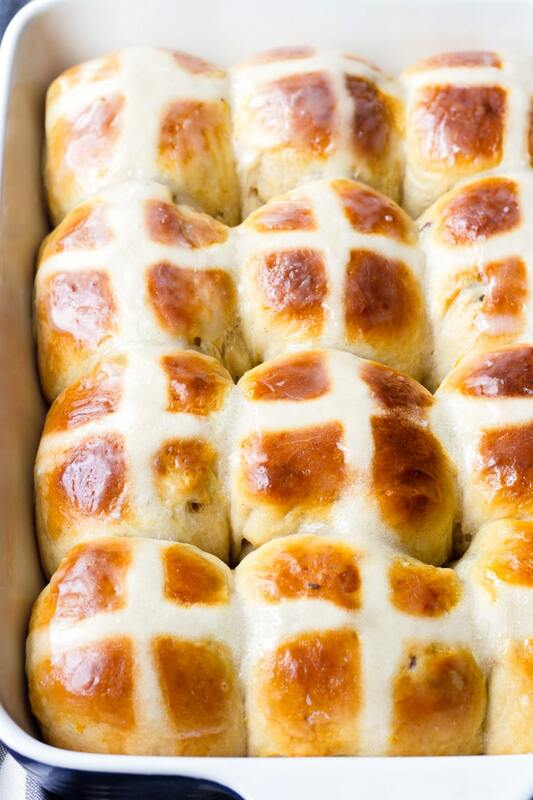 These Easter buns are very soft and aromatic…just the way I like them! 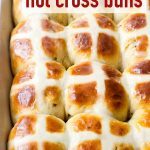 Making hot cross buns is actually easy and fun! All you need is patience for the yeast dough to rise. So let’s get started! Hot Cross buns are known for the Cross pattern on spiced buns with currants or raisins. The bread is soft and super aromatic. Traditionally, the Cross on top of the Hot Cross buns are made with shortcrust pastry, but it’s fine to use a flour paste, which is what I used. Here in the U.S., I’ve seen the Cross pattern made with icing, which is equally delicious and pretty! 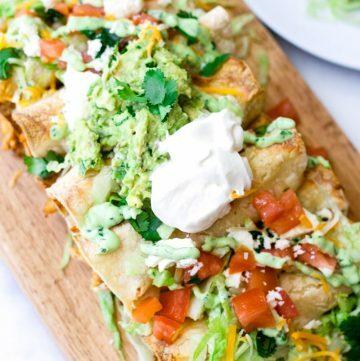 For the full list of ingredients, check out the recipe card! You’ll find ingredients to make the glaze and the egg wash too, which are crucial to give these Easter buns a golden brown color and a shiny finish. Do not be intimidated about making bread! I used to get nervous whenever I had to work with yeast, but after making bread a few times, I actually found it really fun and easy! 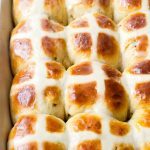 Plus, I’ll give you tips and tricks to understand how to work with yeast dough in order to make the perfect Hot Cross buns. Proofing the yeast super important to make sure that it is “alive.” To proof yeast for this recipe, add some warm milk (110-115 degrees F), 1 teaspoon sugar, and active dry yeast. Stir and let it sit for 10 minutes. If it foams up, your yeast is good and you can proceed to make the dough. If it does not, either the yeast is too old or the temperature of the liquid (milk) is off. Unlike all-purpose flour, bread flour has higher protein content, which will in turn produce more gluten. This will create a pillowy soft texture. Bread flour also provides better structure to breads, so your Hot Cross Buns will rise evenly and beautifully. I like to use King Arthur’s bread flour brand. Don’t overknead or overmix the dough. Over-kneading develops too much gluten, and this will cause your bread to turn out too chewy. When letting the dough rise (twice), be sure that it’s placed in a warm and draft-free environment. I usually slightly warm up my oven 30 minutes before and let the dough rise in there. Be careful though! If the oven is too hot, it will kill the yeast. 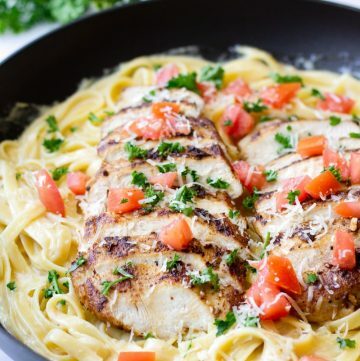 There are no specific ingredient measurements for this. 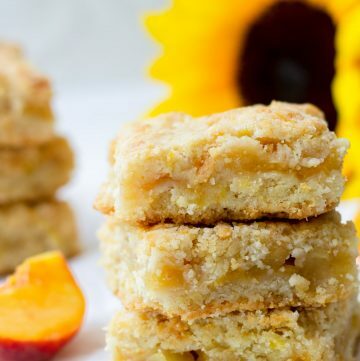 Add water to the flour, one tablespoon at a time, until a thick paste forms. To pipe it onto the buns, use a piping bag with a small piping tip. Alternatively, you can use a Ziploc bag – just cut a small hole in the corner. Don’t let the sugar glaze cool before brushing. Otherwise, it will harden slightly, and the buns wont be as shiny. Phew, that was a lot of information to take in! 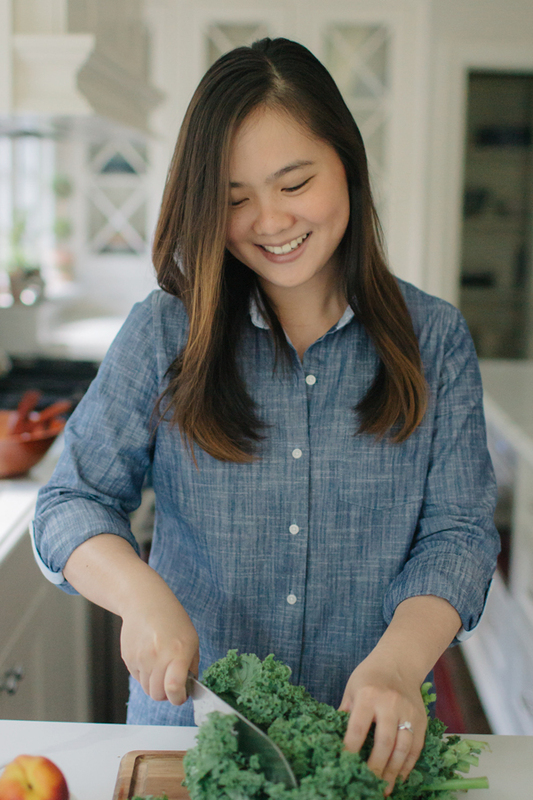 Baking breads can sometimes feel like it’s a mystery, so I hope you find these tips helpful. If you have any questions or comments, please feel free to comment below! I love the smell and the flavor that the orange zest and the spices (allspice, nutmeg, and cinnamon) add to these Hot Cross buns. My house smells like heaven when I make these buns, and I love it! 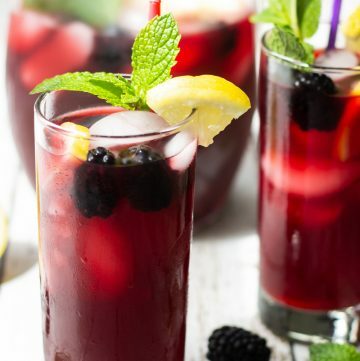 Serve them with some tea or for your Easter lunch. 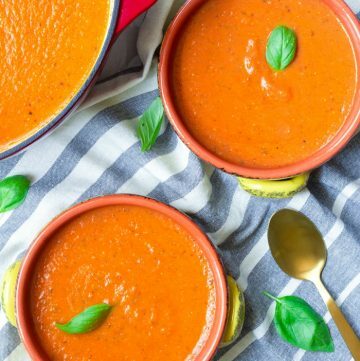 Thank you so much for reading, and please don’t forget to pin this recipe! 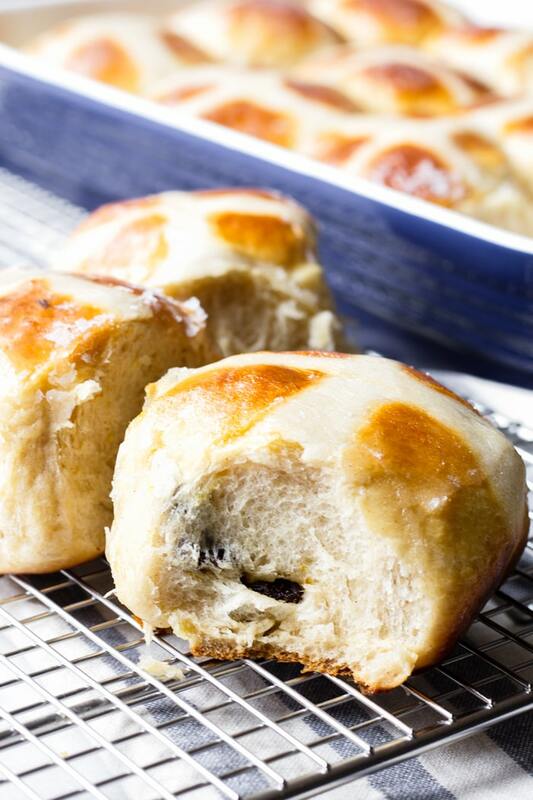 Hot Cross Buns are a favorite around Easter! They are so aromatic, soft, and will make your house smell so good. Soak raisins in the hot apple juice. Let sit for about 30 minutes. Then, drain and set aside. Pat dry. Set up the dough hook attachment of a stand mixer. In the bowl of a stand mixer, add the warm milk (110-115 degrees F), active dry yeast, and 1 teaspoon granulated sugar. Stir and let it stand for 10 minutes until foamy. In a large bowl, whisk the bread flour, salt, cinnamon, allspice, nutmeg, and sugar. Set aside. With the mixer on low speed, add half of the dry ingredients to the yeast mixture until just combined (keep using the dough hook). Then add melted butter, eggs, and the other half of the dry ingredients, and mix. 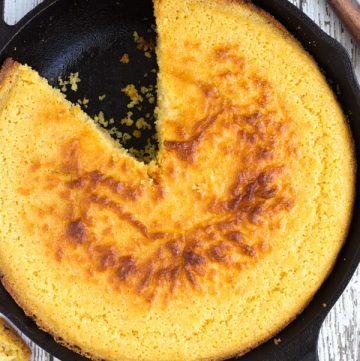 Increase to medium speed and mix for about 5-6 minutes, adding more flour as necessary until it pulls away from the bowl and is slightly sticky but manageable. Add the raisins and orange zest, and mix until incorporated, about 30 seconds. Transfer to a floured surface and knead a few times until smooth, elastic, and slightly sticky. Form into a ball and place on a lightly oiled bowl (olive oil is fine), making sure to coat the dough with some of the oil. Cover with plastic wrap and let it rise in a warm and draft-free environment for about 1 hour, or until doubled in size. Punch down the dough and transfer to a floured clean surface. Knead a few times, and cut the dough into 12 equal pieces. Shape into balls, pinching at the bottom, and place on a lightly greased sheet pan or baking pan. Cover and let rise about 30 minutes in a warm and draft-free environment, until doubled in size. Egg wash: whisk 1 large egg and 1 tablespoon heavy cream or whole milk. Brush buns with egg wash after they have risen. Flour paste for the cross: combine the 1/2 cup all-purpose flour, sugar, and water. Add the water, 1 tablespoon at a time, until you get a thick but pipeable paste. Fill a piping bag with the paste and pipe over the buns to form a cross on each bun. Bake at 375 degrees for 20 to 25 minutes, until golden brown and puffed. Remove buns from oven. Cool for 10 minutes. Meanwhile make the sugar glaze: in a small saucepan combine sugar and water. Bring to a boil and simmer about 10 minutes, until thickened. 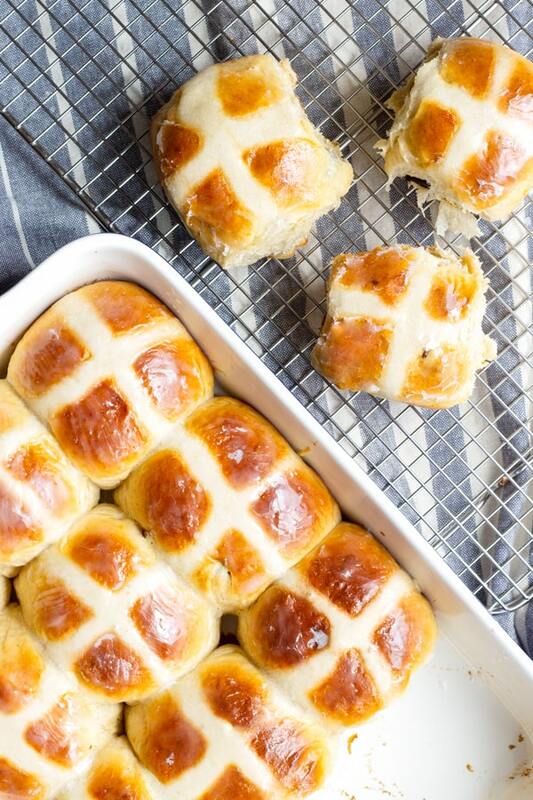 Brush hot cross buns with the sugar glaze.